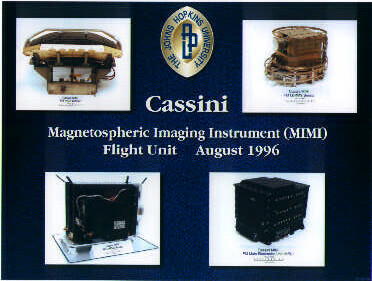 The Magnetospheric Imaging Instrument (MIMI) will be used study the energetic charged particle enviroment of Saturn's space envirnment, or magnetosphere, using novel techniques . Charged particles are measured with energies between 7 keV/nucleon to > 152 MeV/ nucleon. 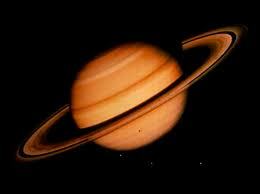 It will obtain the first remote global images of Saturn's hot plasmas using the new technique of "Energetic Neutral Atom Imaging". It will also perform comprehensive in situ hot plasma measurements, including charge state, elemental compostion, and angular distrubutions. MIMI Science Investigation (see Background and Science Objectives) will significantly advance the understanding of Saturnian magnetic processes and their coupling to the satellites, rings, and the planetary ionosphere and atmosphere. The new magnetospheric imaging technique (see Energetic Neutral Atom Imaging) utilized by MIMI will also allow the MIMI team to make sensitive measurments of the neutral exospheric densities of Titan, and possibly also of the icy satellites. The MIMI Instumentation consists of a Main Electronics Unit MEU and the three sensor heads: The Low Energy Magnetosheric Measurment System, or LEMMS, the The Charge Energy Mass Spectrometer, or CHEMS, and The Ion and Neutral Camera , or INCA. Information about each of these components is available by clicking on each respective acronym above. The mass, nominal power utilization, and data rate for MIMI as a whole is about: 28.11 kg, 20.3 W, and 1 - 4 kbps, respectively. The mounting of the LEMMS, CHEMS, and INCA sensors on the Cassini Spacecraft is shown in the Spacecraft Diagram and Spacecraft Photo.